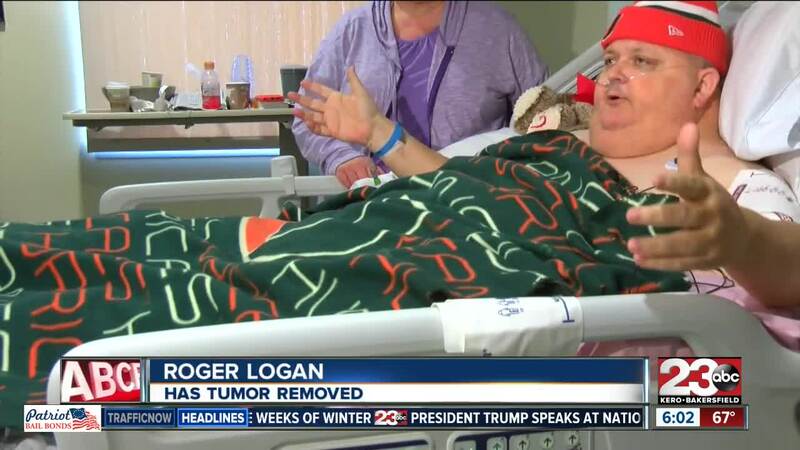 Roger Logan was told by doctors that he was "just fat." It turned out, he had a 130-pound tumor growing in his abdomen. Logan, a Mississippi resident, had the growth removed this month at a hospital in Bakersfield, California. He lived with the benign tumor — which was likely caused by an ingrown hair — for 15 years. In recent years, Logan said he's spent nearly all his time in a recliner at his home. He described the tumor as feeling like "you're carrying around three bags of cement around you all day long, just swinging." Despite visiting doctors with complaints about his discomfort, Logan said he was told by them that he was "just fat." The surgery went successfully and Dr. Vipul Dev said the future looks great for Logan and his family.